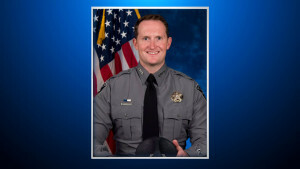 BOULDER, Colo. (CBS4)– The El Paso County Sheriff’s deputy killed in the line of duty will be laid to rest on Saturday. A suspected car thief shot and killed Deputy Micah Flick on Monday afternoon. His funeral will be on Saturday at 1 p.m. at the New Life Church in Colorado Springs. A donation site has been established for Flick’s family online or in person: The El Paso County Sheriff’s Office Foundation, 1980 Dominion Way, Ste. 200. Colorado Springs, CO 80918.